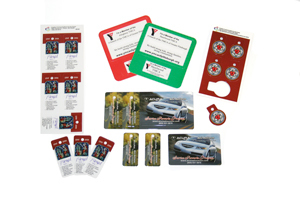 Get the attention you want with stunning four-color die cut promotional items produced with the highest quality plastic. With all our paper projects completed in-house, you are assured a final product of the highest-quality. Our four-color process ensures beautiful graphics and our unsurpassed bindery and finishing service gives you the professional look you need. 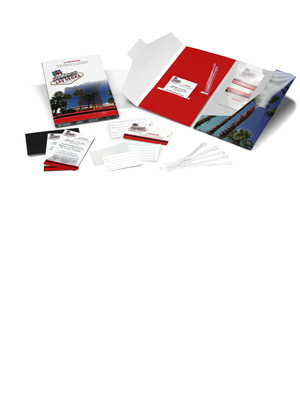 Products include: brochures, postcards, flyers, business cards, catalogs, binders and a wide variety of POP materials. 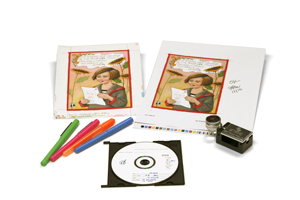 Get the quality assurance you want with a Top Graphics press proof for your project. 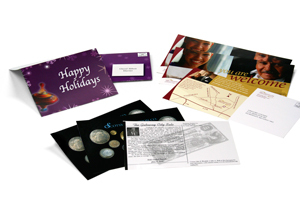 We can produce one or more printed copies of your project that exactly emulates the finishing print production color. And, targeting either Gracol or SWOP standards, we can make sure that all of your companion pieces match the proof. 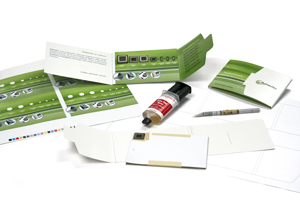 When you need a prototype for your new product, document or promotional item, Top Graphics is your one-stop source. 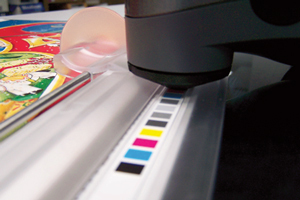 Because our unique printing technology gives us the capability to accurately produce high quality offset printed sheets in small quantities, you can get the number of pieces you need without additional costs. Our illustrators and graphic designers are equipped to provide quality medical and scientific illustrations for traditional and electronic applications. 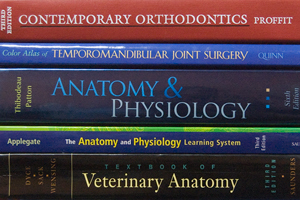 Our work includes anatomical, surgical, and technical procedure illustrations that are rendered for use in multiple media. Other services include: pre-flight, scanning, labeling, converting traditional media to digital, image retouching, composing, and contract quality proofing. 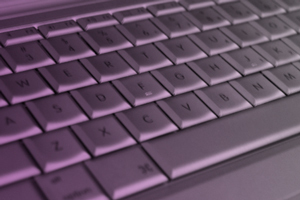 We offer custom branded web-site solutions to your companies look and feel to provide an integrated management solution that smoothly handles the entire workflow from job order through delivery, guaranteeing a fully automated workflow and business flow. Expert Digital Production Services Recognized as a leader in providing high quality pre-media services, Top Graphics continues to embrace new technologies and techniques in order to maintain our tradition of superior service.